Jón Atli Benediktsson, rector of the University of Iceland has been travelling in Canada where he has visited numerous universities and institutions to discuss collaboration. During his travels Jón Atli had meetings in Calgary, Markerville and Edmonton in Alberta. The University of Iceland is currently in demand as an international collaborator, being one of the best universities in the world according to international parameters. One of the most recent collaborations is the university network Aurora; a new community of nine prominent universities in Northern-Europe with similar philosophies and a shared mission in diverse research and teaching. The National Poet Stephan G.
Jón Atli, rector of the University of Iceland met with Stephan V. Benediktson in Calgary; the grandchild of the Icelandic national poet Stephan G. Stephansson. Stephan G. Stephansson was born in the Skagafjörður district of Northern Iceland on 3 October 1853 and was given the name Stefán Guðmundur Guðmundsson. When he was twenty he immigrated to North America to seek a better life in Wisconsin. He worked on building rail roads and logging in difficult circumstances. 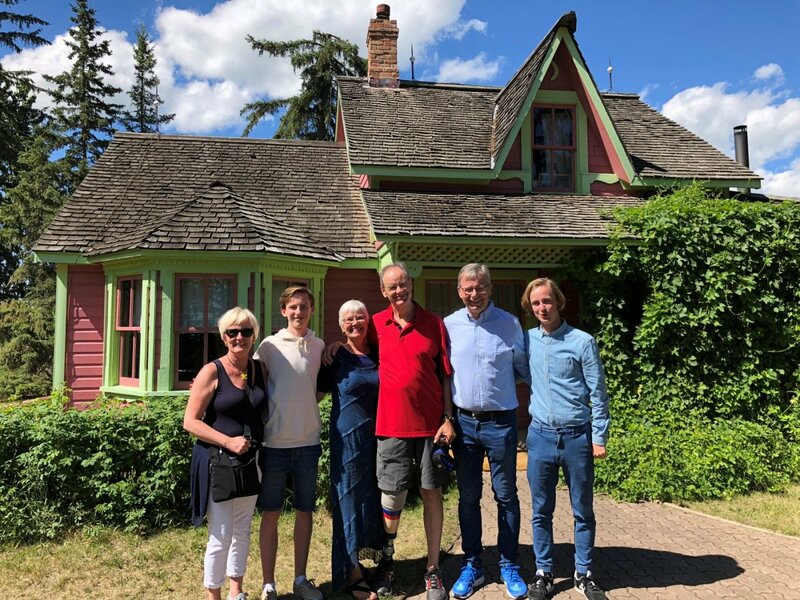 In 1889, Stephansson moved with his wife, three young sons, his mother, and his sister and brother-in-law to the district of Alberta, by the Rocky Mountains in Canada. A new fund in the name of Stephan G.
One of the main reasons behind the travels of the rector of the University of Iceland was to introduce a fund raising for the Stephan G. Stephansson Endowment Fund. 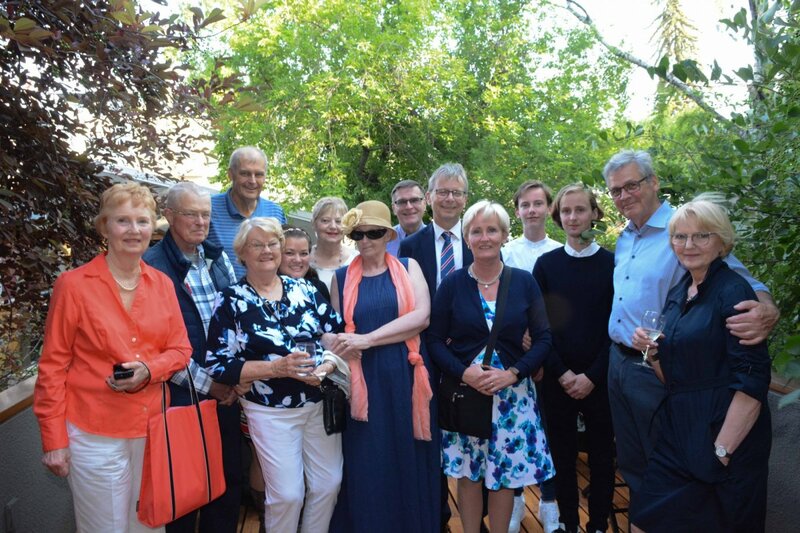 The fund was established in connection with the inauguration of Veröld - the House of Vigdís Finnbogadóttir, former president of Iceland in the spring of 2017. Stephan V. Benediktsson and his wife Adriana contributed the initial capital in memory of his grandfather. The goal is to further strengthen the ties between the University of Iceland and citizens of Icelandic ancestry (Vestur-Íslendingar) in Canada and the United States of America. Furthermore, to contribute to research collaboration between scholars in Iceland and Canada in the field of immigrant literature. The aim is to focus on the poets that emigrated from Iceland to North-America and to further study their work and influence, as well as the connections between these two cultures. Stephan G. is one of these poets. He was a hard-working farmer in difficult circumstances in Alberta with little time to spare. He thus wrote most of his best poems at night and his collection is ironically called Andvökur, or Wakeful Nights. Jón Atli, rector, laid flowers from the University of Iceland on his grave, but this famous Icelandic-Canadian poet was too poor to ever attend school. His education came from reading and the school of life. Rector also paid a visit to Stephan G.'s house and other significant places in Markerville. Jón Atli Benediktsson met with administrators at the University of Calgary who expressed great interest in increased collaboration between the two universities. The discussion included collaboration in the fields of engineering, human and social sciences, innovation and health sciences. The Western Icelander Hallgrímur Benediktsson, a professor in medicine at the university, joined the meeting but he is also an Honorary consul for Iceland in Calgary. Jón Atli and Elizabeth Cannon, rector of the University in Calgary then discussed collaboration between the two universities. Jón Atli also paid a visit to the University of Alberta in Edmonton to meet with university administrators and research scientists. There is considerable interest in strengthening collaboration in engineering, the Nordic languages, innovation, energy research and disability studies; to name a few. Rector then met with the administrators of the Banff Centre for arts and creativity, located in Banff, Alberta and established in 1933. Jón Atli had a meeting with the centre's president, Janice Price, and met with the Icelandic artist Karlotta Blöndal who worked for a while at the Banff Centre. She showed Jón Atli her art. Rector had numerous sittings with alumni and friends of the university, including The Icelandic Club in three locations; Calgary, Markerville and Edmonton. 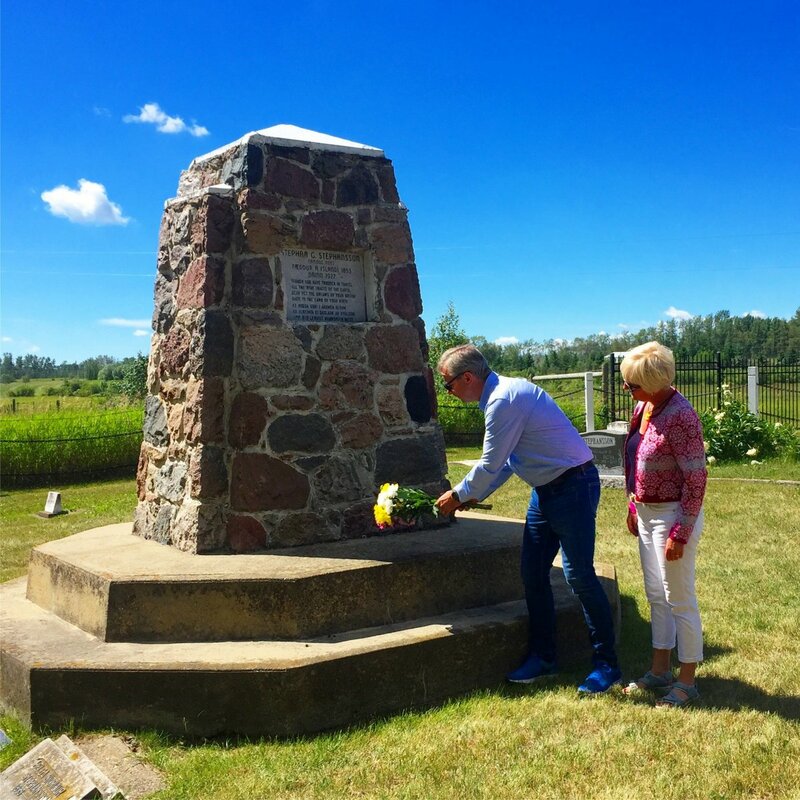 Beverly Arason–Gaudet, President of the Icelandic National League (INL) of North America, attended the meeting of The Icelandic Club í Edmonton where she and the rector discussed the centennial of INL next year. Rector introduced the diverse operations and current standing of the University of Iceland wherever he went and its connections to Canada, both past and present. There was great interest in Iceland, the University of Iceland and increased communication between the two countries.